SEO and why it’s important. In 2012, charities in the United States received just over $300 billion in donations. And, thanks in part to the incredible success of the Kony Campaign, online donations rose a median of 15.8%. 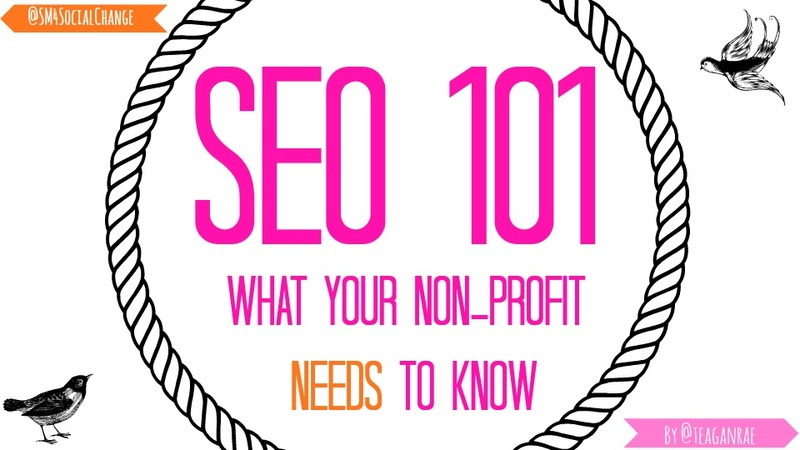 So you can imagine how important it is that your non profit has a significant online presence, and a good Google search ranking can really help with that. will mean a huge increase in the number of visitors (translation: donations) for your non profit. For me, that’s reason enough to justify studying up on your Search Engine Marketing (SEO). Keyword search is so unbelievably important to the success of your non profits SEO. It should be the first step in any marketing and/or SEO plan, and it’s often not carried out properly. There are so many different tools available to help you with your keyword search, so make good use of them. Make sure to always use keywords that rank high in searches and have low competition. If you’re willing to pay, I would suggest using Hubspot’s SEO Software. If you’re looking for something free, you could use Google’s Keyword Tool. Avoid using a lot of images on your website, because they aren’t visible to search engines and won’t help your ranking. Images are better used on platforms that are visual, like Pinterest or Facebook. Google loves frequently updated websites and fresh content, so update your blog once or twice a week. Also, make sure to add a blog section to your website if you haven’t already. Going off that, Google also loves websites that are well connected. Because Google is trying to become more focused on the consumer, it displays sites that they deem “relevant” higher up in the search results. In the online world, relevance is measured by analysing page content and by the number (and quality) of other pages linking to your website. Think of links like up votes. This is called “Page Rank.” Each time your website is linked to by an external site, your PageRank increases. The more trusted or respected the website is (e.g. Wikipedia or BBC), the more weight it’s vote has. For instance, a link from BBC is more meaningful than a link from my personal blog. Don’t think that you can go out and buy PageRanks. If your website is linked to from untrustworthy sites (spam sites) it will be detrimental to your PageRank. So basically, try to keep your website fresh and make sure that you are constantly linking back to your site. Not only will this help improve your non profits visibility, but it will also keep your customers coming back. I check BuzzFeed obsessively because they constantly church out new and interesting content. Also try to increase the number of pages that link back to your website. A good idea might be to reach out to relevant and popular blogs and ask if you could guest blog for them!